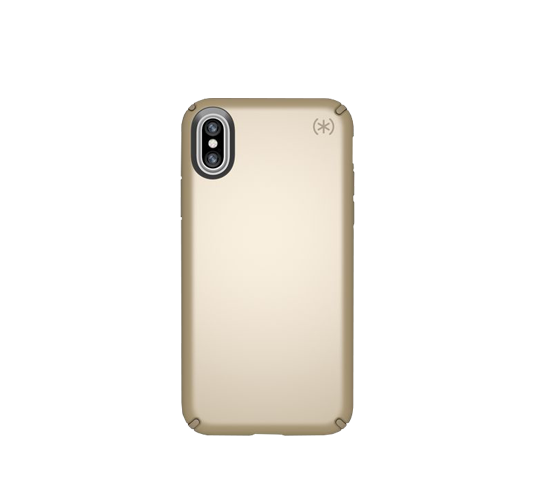 Designed to complement the metal and glass finishes of today's phones, Presidio METALLIC adds a subtle and sophisticated shine to your phone with a metallic finish that won't scratch off. The case is made of lightweight polycarbonate and IMPACTIUM rubber to protect your phone against drops. To ensure that Speck presidio metallic offers the ultimate protection for your iPhone, it has been dropped from a height of 10 feet multiple times by third-party laboratories.